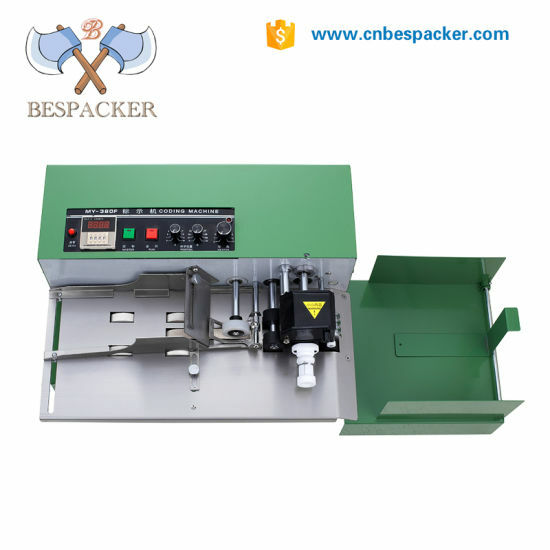 Wenzhou Bespacker Machine Co., Ltd.
Printing machinery, printer, print coding machine manufacturer / supplier in China, offering High speed solid-ink date batch expiry coding machine, Manual Plastic Bag Sealing Machine Paper Bag Sealing Machine, Handy Plastic Bag Sealer Sealing Machine Impulse and so on. 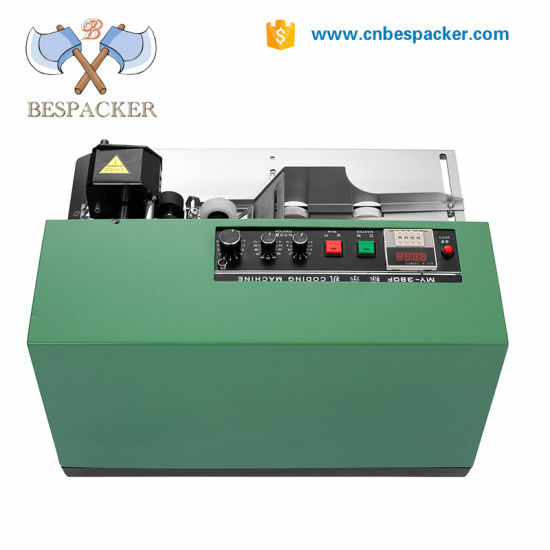 MY-380 Automatic dry-ink coding machine suits for printing labels on the surface of paper, non-ferrous plastic film and aluminum foil. 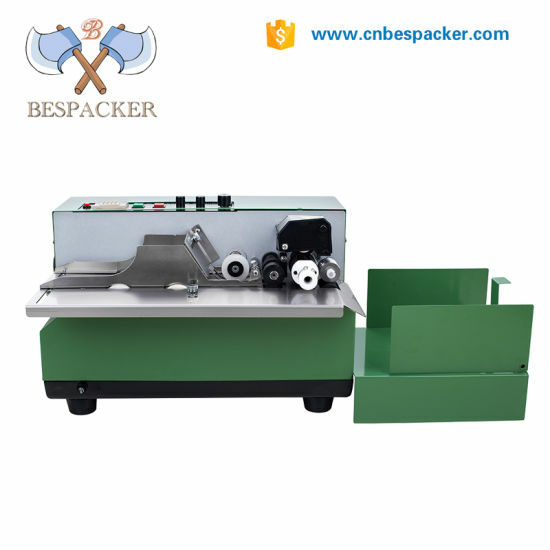 It adopts advanced dry-ink roller to make printed words clear and firm. The letters/numbers to be printed are available with 2mm, 2.5mm and 3mm. MY-380F ink wheel printer can print at 300pcs/min. The print position has infrared control so that the print error is less. Each label can be printed in the same position. 1. Turn the bakelite baffle counter clockwise. 2. Take out the ink wheel fixed sleeve, change the old into the new. 3. Put the fixed sleeve back, clockwise cover the baffle. We are manufacturer and welcome to visit our factory! 2. When can I get the quotation? 3. What's the leading time and shipping way? It is based on order quantity and machine item! 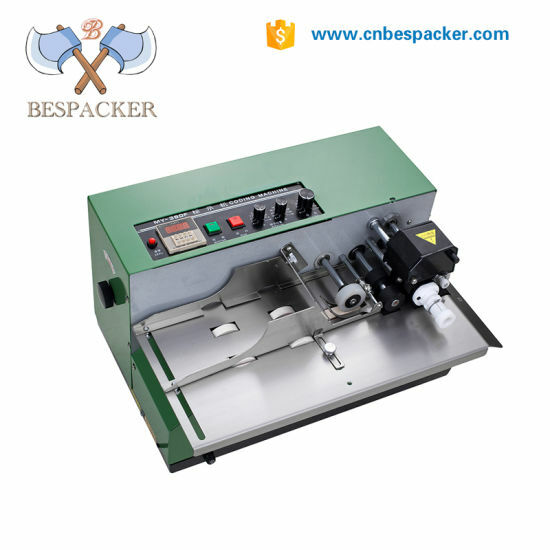 For small order quantity of standard machine, we will have stock. 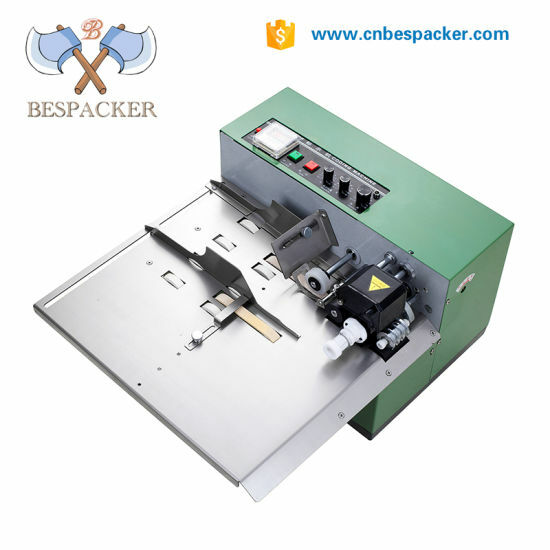 For large quantity of standard machine and other customized machines, it needs 15-45 days. We will confirm details with customers before place order!